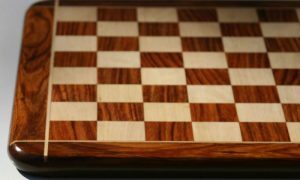 There are countless different methods and materials out there designed to increase your chess skill, but this one may just be the smartest! If you’ve been around the chess scene for any length of time, you may recognize the name Think Like a King. In fact, you may have even learned the game through that method! 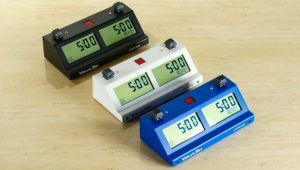 It’s been around for over 20 years, and many people have gone through the program either in school chess clubs or other extracurricular chess programs. 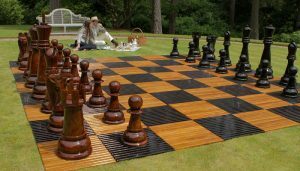 It was designed to be an educational chess product that walked children through the basics of chess, with an emphasis on teaching them how to think through problems both on and off the chess board. It did a great job for more than 2 decades, and now it’s taking that basic concept online with a state of the art educational chess (not chess education) software program. 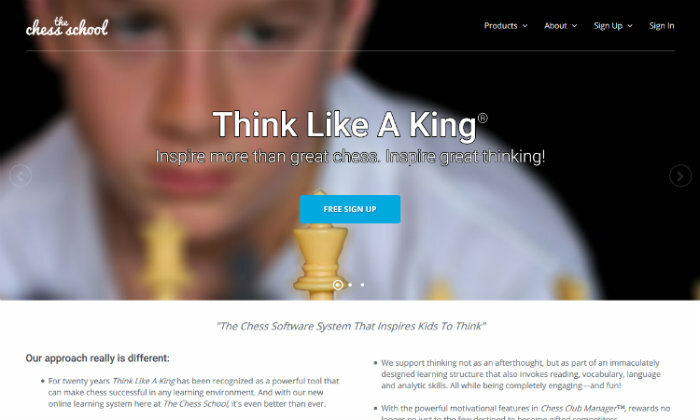 The company behind the Think Like a King educational chess program has been prominent in the industry for many years. It has included some great minds and even greater hearts in its ranks, people who made it their mission in life to teach chess and life skills to children who otherwise may not have access to such an education. This dedication allowed many children brighter futures than they may have otherwise had to look forward to. 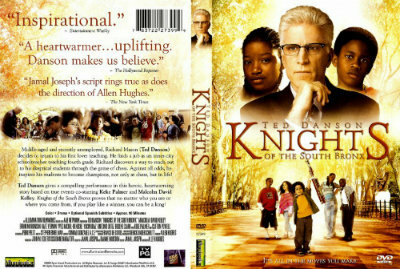 The 2005 A&E TV movie titled Knights of the South Bronx starring Ted Danson was actually based on the life of David MacEnulty, the man who authored the Chess Workouts that make the Think Like a King program so groundbreaking. It tells the story of how David was able to transform the lives of several inner-city school children in New York through the medium of chess. MacEnulty was working in a large, underfunded elementary school in the South Bronx when he began to realize the educational benefits learning chess can have on children. Furthermore, it offered a new way to connect with students and a way for them to build the self-esteem that was so crucial for success in other areas of their education. Through this experience, the children’s lives were forever changed, and MacEnulty learned the value of chess as an educational tool which gave him the skills necessary to develop much of the educational curriculum when he joined the Think Like a King team. At the time of the movie’s release, the Think Like a King company hosted a contest in honor of MacEnulty’s accomplishments. For several months, schools across the nation submitted their entries into the contest, hoping to be one of the lucky schools chosen. In the end, one school from each state and the District of Columbia was selected to win $2,000 worth of Think Like a King chess software. More than enough to equip on all the school’s computers and make chess a school sport! The fact that this company was willing to freely give over $100,000 worth of chess software to schools that may never have been able to afford it shows that their hearts are really in the right place. It’s clear that they really do care about kids and their education as much as they say they do. What an amazing company! The Chess School website is really more like two websites at the moment, since they are in the middle of updating their product, modernizing the website, and switching over to a new version of the site. The old version, located at schoolchess.com, is informative, but based on the desktop version of the software which is now outdated, with the introduction of the new online version at thechessschool.net. The new website is sleek, modern, and easy to use. It was definitely a worthwhile change to make! It includes a lot of great information about how the program works and the philosophy behind it, as well as samples of the program’s signature chess workouts, a guide for novices who are brand new to the game, and even advice on how to start your own chess club! The website is a wealth of knowledge, just like the program itself. While it may sound like a simple difference in phrasing, the real difference between educational chess and chess education is HUGE! 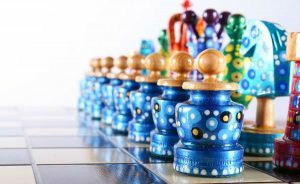 Chess education teaches you the basics of chess, including the rules of the game, how each piece moves, and how games are scored. 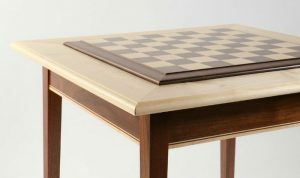 At higher levels of chess education, you will begin to learn about and memorize common starting moves, ending moves, and mid game positions as well as their counters. You will learn, by rote, how to recognize and avoid traps, as well as how to set one up for your opponent. 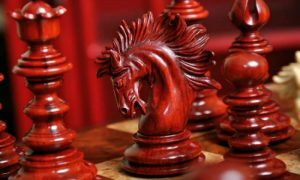 If you are well suited to this type of learning, you may even get quite advanced in your chess education and become a fairly strong chess player. Educational chess, however, is something entirely different. Becoming a strong chess player is surprisingly not the be all, end all goal of educational chess. 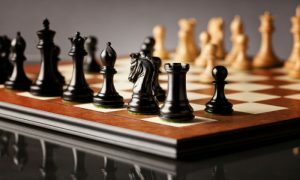 Rather, educational chess uses the game as a tool to teach valuable critical thinking and problem solving skills that will be useful to the player in all aspects of their life. Educational chess almost never involves the blind memorization that’s frequently used in chess education. Its focus is not on teaching kids what to think, but rather how to think. 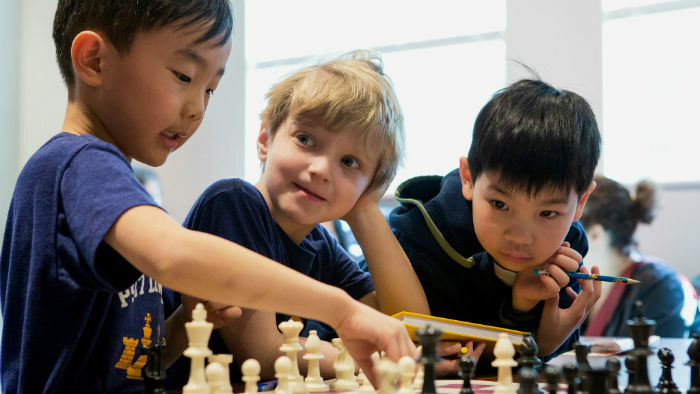 Chess offers a fun and engaging way for children to practice all sorts of valuable life skills, and educational chess takes advantage of that by harnessing the game and using its full potential as an educational tool for developing young minds. Even if you never become a professional chess player or anything of the sort, you can still hold on to and use the skills that you learned in an educational chess program each and every day! This is an exciting time for the Think Like a King team, since it’s the first time in its 20 year long run that the signature software will be offered in an online only version. This simple change really brings the product into the 21st century and may even allow a wider audience access to the product. It certainly gives current owners of the program more freedom to access its lessons on their own terms, from any device, anywhere in the world. All you need is an internet connection! 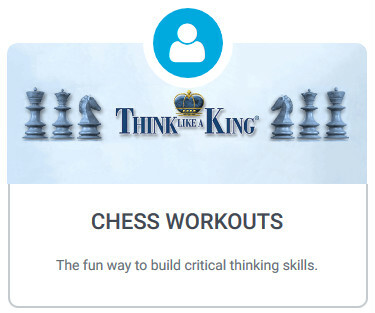 The new online version has the same great educational content of the original Chess Workouts, now presented in a more convenient user interface. 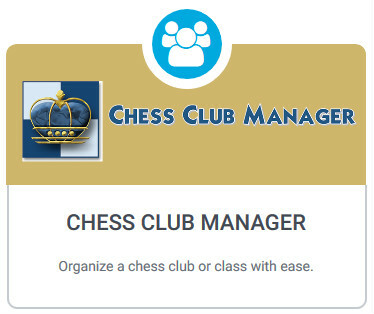 The Chess Club Manager in the new and improved online version has many new features designed to empower coaches, schools and chess business owners to make their chess teaching efforts even more successful. All these new features were brought to you by the three co-founders of The Chess School – Stephen Lipschultz, Joel Berez, and Balagee Govindan, who have been working tirelessly to get this program online. The desktop version is still available, for now, which will be good news for those without reliable access to an internet connection. The desktop version may also work best for organizations like schools and libraries who can install the program on their computers once and then not worry about logging in again. Whichever version you think will work best for your situation, now you have the liberty to choose! Now, let’s talk a little bit about what the product actually is. Sure, we’ve said that it’s an educational chess software program for kids, but what does it actually entail? Obviously, we can’t spoil too much, but the core of the system is its Chess Workouts. These are guided activities that are specifically designed to get kids thinking, developing reading, vocabulary, and critical thinking skills while they play on the chessboard. Starting at the novice level and working up to advanced, these chess workouts go through different levels of difficulty as you master different skills and move on to new ones. In the newest version, they are fully interactive and feature audio narration of each page. Completing these workouts will earn you ‘Workout Points’ which accumulate and earn you different Thinking Belts. Work your way up the ladder until you earn your Black Belt in Thinking! Despite being designed primarily with children in mind, these lessons are actually good for learners of all ages, even adults. You can start from the beginning and learn the basics of chess, or jump right in in the middle if you feel like you’ve got a strong handle on the fundamentals. What are you waiting for? You’ve got a black belt to earn! ● Create and maintain an up to date player roster- with no tedious data entry! As you can see, a lot of thought went into making this software as easy to use as possible. It really lessens the burden of managing a chess club so that almost anyone can do it, even if they don’t have a large amount of time to dedicate to it. The Think Like a King educational chess software is a great product for learners of all ages, and it’s not just us who think so. This program has garnered heaps of praise from all sorts of different organizations and individuals in its decades-long existence on the market. In fact, its longevity alone should be enough to tell you that it’s a quality product! Learning chess through the Think Like a King method is a great idea, whether you’re an adult who is looking to finally get into chess or a parent who wants to give their kids a head start on the mental skills that will serve them well for the rest of their lives. You really can’t go wrong with this innovative program from a great company!